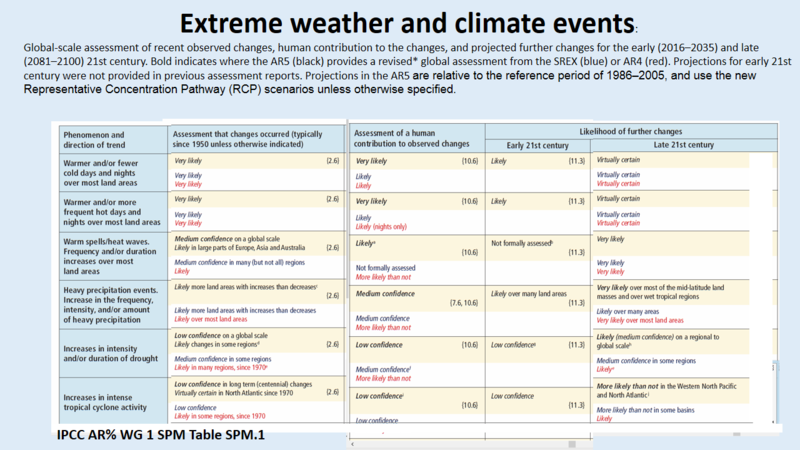 ​extreme weather events as one category of climate change impacts. ​health and to food productivity. - It is ​​likely they will increase more by 2100. 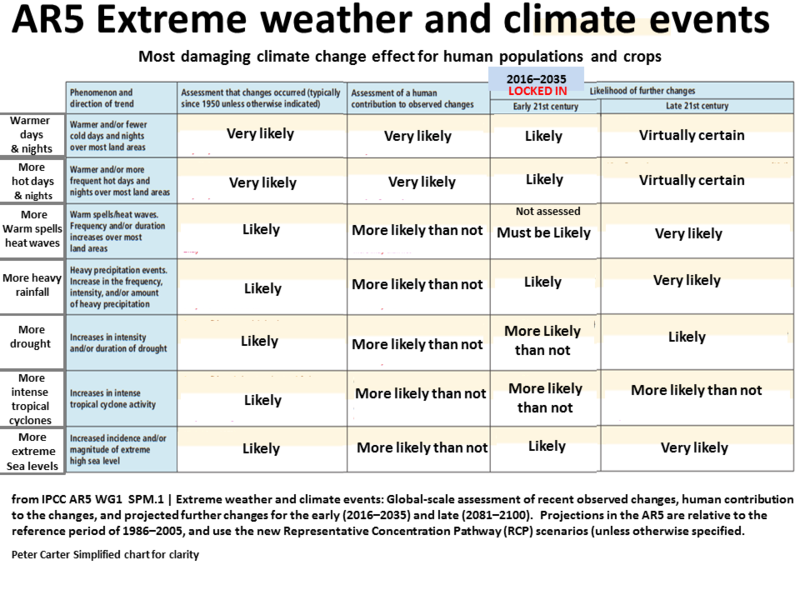 ​extreme weather impacts to human populations ​and crops ​is unavoidable. 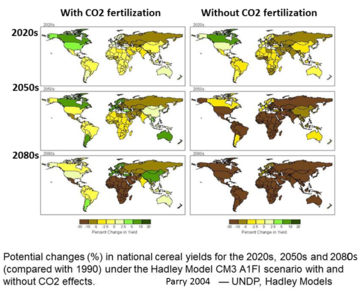 ​harm to human populations and their food supply. 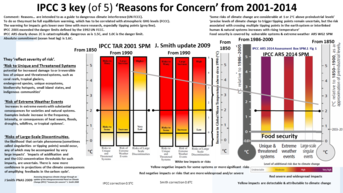 ​for a particular Reason for Concern has dropped markedly especially tipping points. 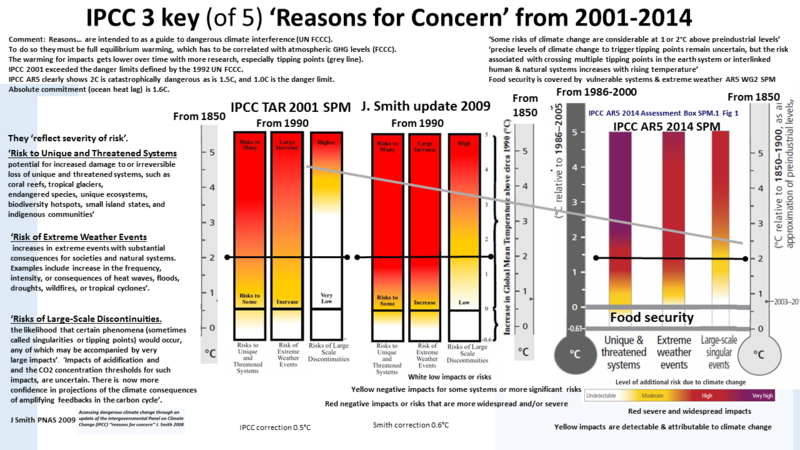 Climate change causes these events to increase in frequency and or severity. 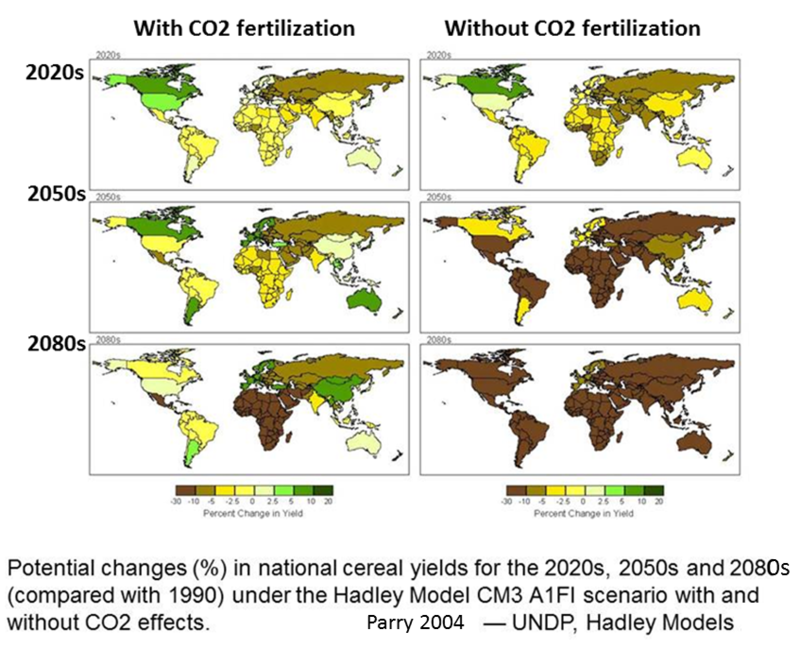 ​Research has linked increases in all of these extreme events with global climate change. Therefore Increased heat waves and droughts are the result of global warming. ​​Extreme weather events are already increasing due to global warming (IPCC 2007) and will increase further (IPCC special report 2012).. 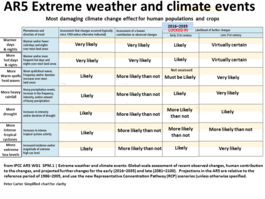 There are now several studies published demonstating that the global and Northern hemisphere increase in ​​extreme weather has damaged criops (specefic extreme events) and the severity of the extreme event even would not have happened with the driving influence of global warming. ​​There is research inidcating that the increasing extreme Northenr hemisphere weather events are being driven by rapidly declining Arctic sproing-summer albedo cooling. 2010 N Hemisphere & record Russia heat wave, wild fires, crop losses .